So – there we go. 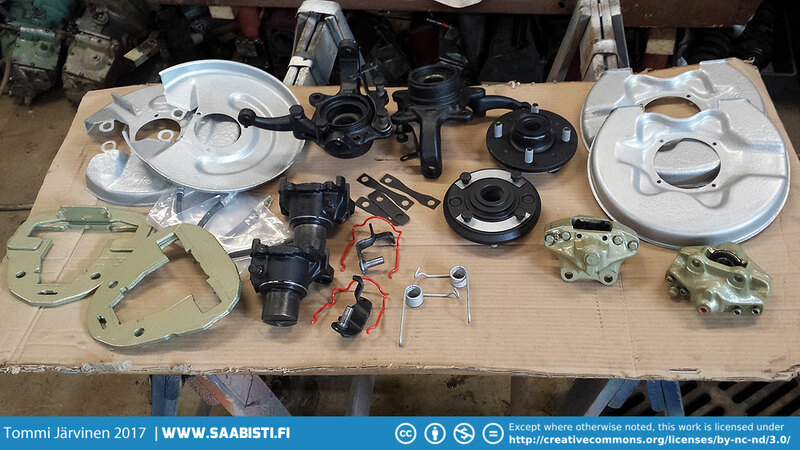 A few restored brake and suspension components for the 99 Turbo. Previous imageThe front brake cylinder after some bead blasting. Next imageBody solder used on 1959 Saab 93 roof and side panel seams.